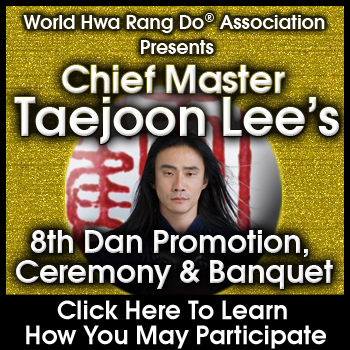 Hwa Rang Do®, the most comprehensive system of self-defense and combative techniques in the World, has been developed in accordance to the ancient principles of Um-Yang, which emphasizes balance in life and harmony with others and nature. Following this principle of balance, the weapons program strives to be equally balanced and comprehensive. As such, there are two disciplines in Hwa Rang Do®’s weapons fighting program, Gumtoogi and Bongtoogi. Gumtoogi, which translates as “Sword Fighting Skill” concentrates on varying types of swords and their combined use. 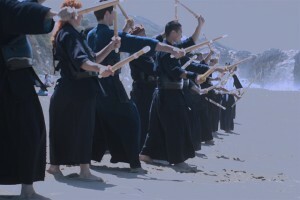 Concurrently, Bongtoogi or “Stick Fighting Skill” focuses on different staff and sticks techniques and combinations. Mastering both is essential to becoming a truly efficient weapons fighter and warrior.